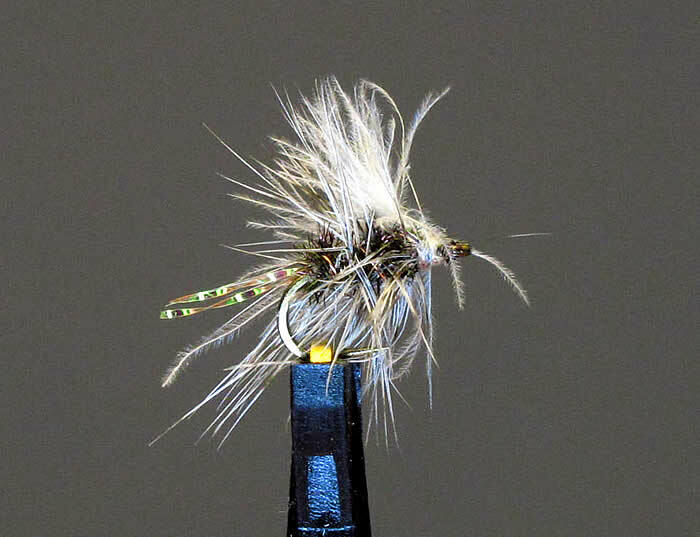 My favourite flies on the water – an Ausable Wulff (size 12) or the following peacock quill body with a grizzly and ginger hackle as below (size 14 and 16). I over-size the hackle, and I do let it blow and ride across the water. And when I need a small piece of fluff, I use the following Griffith Gnat variant on a Daiichi 1640 Size 16. The hackle is too large in this case, but I do reverse tie in the hackle over pecock secured with fine copper, add in some krystal flash on the tail and a CDC overwing. In last summer, you can modify this tie for a BWO – extended body (floss) for the tail, omit the hackle and use a dun CDC over wing. Nice flies. Love that first one in particular. Thank you. 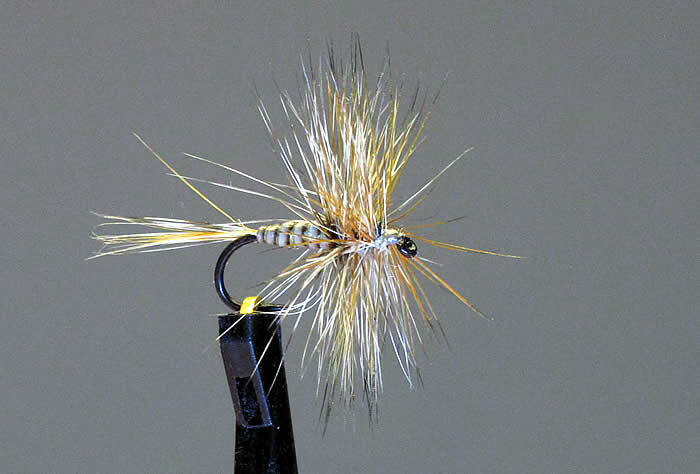 So people gravitate to the Royal Wulff as an attractor, but it is this unname fly is my one of my favourite attractors. I enjoy your blogged, here the snow is still on the ground so the Spring Peepers still are asleep.